After spending a summer in France, it was hard for me to adjust to the fact that Boulder didn’t have a cheese shop on every corner. I had become accustomed to my daily dose of cheese, bread & wine so when I returned, I desperately sought a place that would allow me to return to my simple French dinner. I began to Google ‘cheese shops in Boulder’ and would find myself walking around to even the shadier parts of Boulder (not that those are even very shady) in hopes that I would come across a hidden cheese shop that had escaped my eyes in the past. My search came up empty and I began contemplating moving to France; I would do anything to be surrounded by cheese. 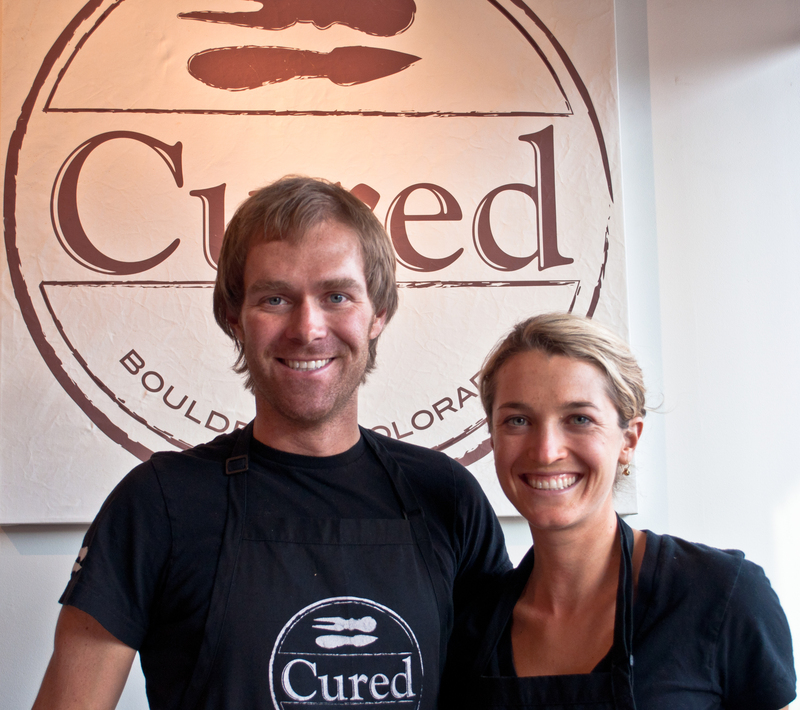 Just when I was ready to say Au Revoir to Boulder, I saw an advertisement for Cured– a cheese shop opening on Pearl Street in August. August was only a month away and if Cured was everything that I was dreaming of, there was a chance that I’d be able to live out my cheese dreams in Boulder. I immediately liked their page on Facebook and impatiently awaited opening day. When that day came, I dragged my dad along with me- I was going to need someone to prevent me from buying everything in the store. I excitedly ordered one of their two sandwiches of the day: The Parma-prosciutto, Parmesan and pears. A bright eyed, blonde haired lady asked me if I would like some cheese as well, I smiled and said yes without thinking. After discussing what kind of cheeses I liked, she pulled out a soft cheese from the refrigerator. It was Cremont, a mixed- milk cheese of fresh cows’ milk, goats’ milk and Vermont cream. I had barely finished tasting it when I told her I’d buy some- I was hooked. After finishing, my dad and I walked to the back of the store to look at their wine selection. The bright eyed, blonde haired lady came back to help us and recommended a Mauro Molino 2010 Barbera D’Alba having learned about my love for Alba wines. We made the purchase and my dad asked her about the owners. To our surprise, she and her fiancé owned the store. Their names were Coral and Will Frishkorn and I would become quite familiar with them in the upcoming months. Having purchased everything from Fleur Verte to 5 year aged Gouda, I knew it was time I wrote a piece on my favorite shop in Boulder. Armed with my camera, notebook and empty stomach, I headed over to Pearl Street. Situated in between 19th street & 18th street, Cured is a small shop offering cured meats, table wines, unique grocery items and of course, cheese. Cheese that just so happens to be hand picked, artisanal and very often, domestic cheeses. Having spent years living abroad in Spain, Coral and Will packed up and moved to Boulder where they would begin their yearlong cheese journey. Like most educational journeys, it required a lot of research and reading but also a 3-month road trip across the US to find & taste cheese. Along the way, they met the owners of numerous cheese factories and began to pick their store products. One year later, they were ready for the real work- opening up the shop and making it a successful business. Coral and Will have shown the dedication it requires to own such a business, they are at the shop everyday and will always be the first one to greet you or offer you a delicious sample of their blue cheddar.They are knowledgeable on everything they carry and will help you each step of the way. Want a cheese plate but have no idea what goes together? That’s what they’re for. Just bought some Stilton cheese but don’t know what wine pairs with it? Don’t even worry about it; they have got you covered. The products they sell are what they put on their table for dinner. In other words, they are living my dream of having an endless supply of bread, meat, cheese and wine. We are committed to serving excellent food and satisfying our customers. When I first found out a cheese shop was coming to Boulder, I was worried. I demand a lot from my cheese shops and if this one didn’t satisfy me, there would have been tears. To my delight, the only tears that have been shed thanks to Cured are tears of pure joy. Interested in getting an education? 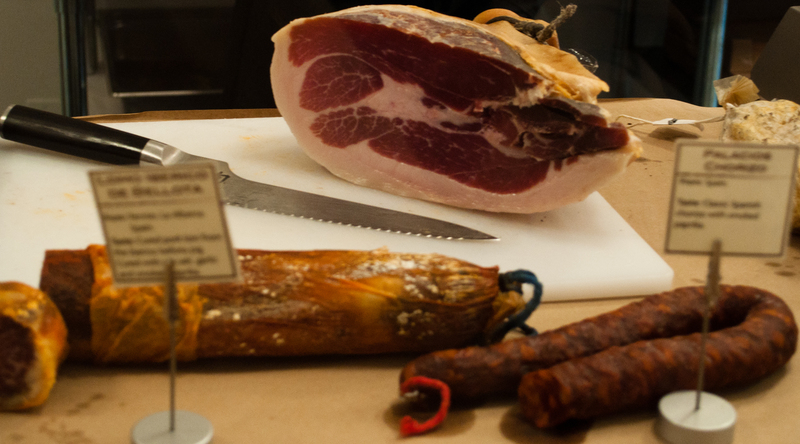 Every other Thursday from 5:30-6:30 Cured offers classes, tastings and seminars ranging from Meat 101 to pairing wine and cheese. Got wine on your mind? Check in every Tuesday from 4-7 when they uncork their 4 favorite wines of the week for a free tasting and 10% off their price. Wait, there is more. 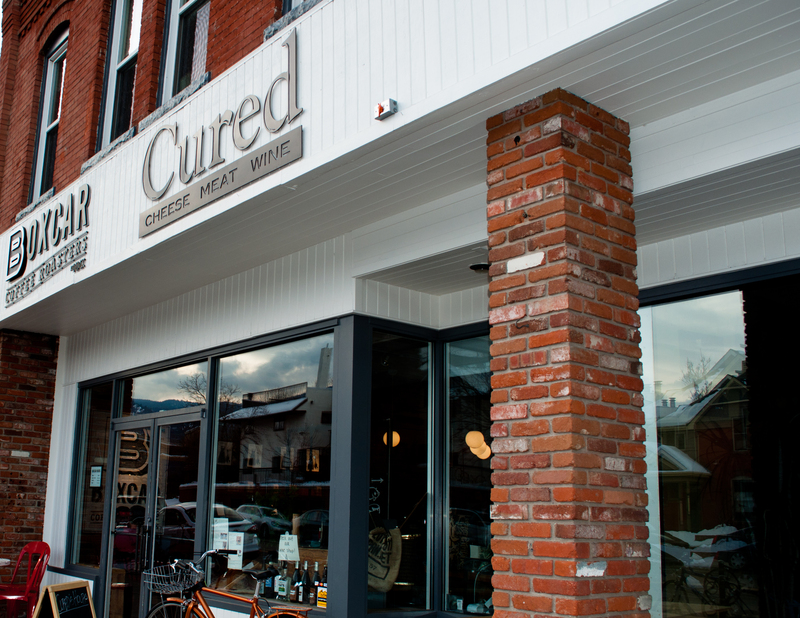 Cured also features a Wednesday night dinner where they provide a recipe and all the ingredients to make a delicious dinner. Previous Previous post: Healthy Boulder Chocolate!